Recently I posted a birth story about a mom who had a long hard first birth and then a MUCH easier second baby. I love that story because so many women are fearful of having another after a difficult first birth experience. That isn't ALWAYS the case. 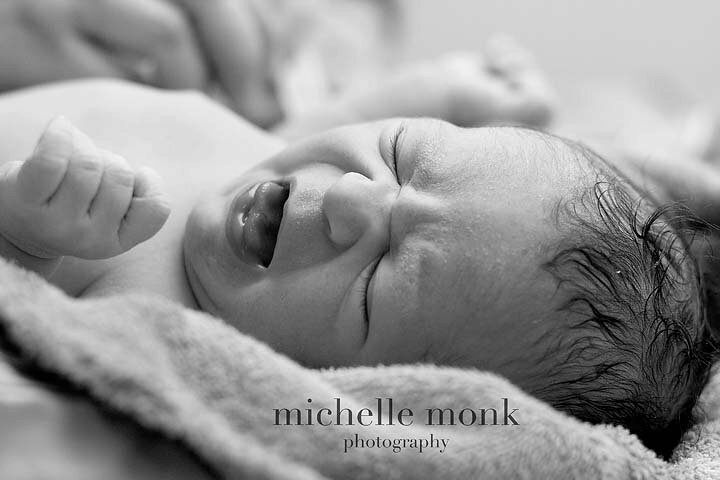 Birth is exciting, unpredictable, and impossible to plan. And of course, we (mama) and the baby all have a different journey and a new lesson to learn or be taught with each life change. 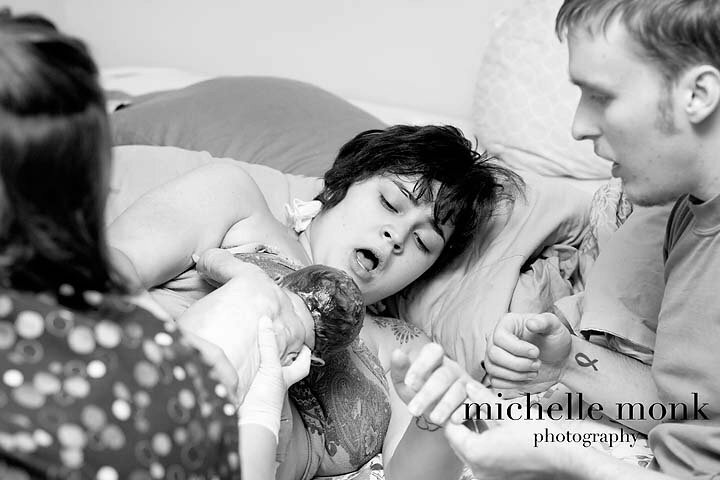 Here is another beautiful birth story- harder than the first, but amazing none the less. "This Baby is just gonna fall right out of you!" "Call me as soon as you even think something is happening, I don't want to miss it!" "As soon as your body gets going, WHAM! Baby is gonna be here"
Since the moment we found out I was pregnant, these are the sort of things that were said to me on a daily basis. My first birth was undeniably textbook perfection, and everyone was excited to see how quickly my body would progress this time. "I can't do this. I'm not strong enough, Jesus. Finish this contraction for me."? The answer is pretty simple now, that's what I prayed for. By Wednesday morning I had on and off "false labor" for two days and I asked Eamon to stay home from work. My contractions weren't getting longer, but they were getting stronger and a little bit closer together. When they hit 6 minutes apart, I called my birth team. I think I even texted Michelle, our birth photographer, "Today's the day!!! We're finally going to meet my Baby!!" Eamon and I were both excited, we labored quietly throughout the morning for a few hours and started welcoming our birth team as they came in, all anxious to see this butter birth we were all expecting. About an hour later...I felt my body slowing down. After a walk with Leila, my doula, that didn't work my birth team decided it would be best if they left to allow us some rest. I started to pray that my labor would progress gradually like Lily's to allow "God to do what He needs to do with me"
I was exhausted, Baby was still posterior after my adjustment and naptime came and went. While Eamon was preparing supper, I found myself doubled over on the floor. "What is going on?!" I thought. My contractions weren't any closer together, they were anywhere from 7-10 minutes apart but I felt exactly like I did during the 20 mins of transition with Lily. I texted Angela "I feel like I'm in transition, I know that's probably not right, but these are getting really painful" She called and told me to time some contractions and give her a call in about thirty minutes. Ten minutes passed and I knew I was in transition. I called her and said "I can't wait thirty more minutes, I need you now." Then I called Leila and said "I think it's time for you to come!" during a really intense contraction. I let my friend Katie know what was going on and asked her to come and help us with Lily. Everyone was here, and I wasn't slowing down. Eamon set supper up for Lily with Katie, and came back into our bedroom for Angela to check me. I was a little bit nervous...ok, I was scared out of my mind that I wasn't progressing. But with Eamon on one side of me, and Leila on the other, Angela let me know that I was dilated to 7-8 cms! The room let out a unanimous "PRAISE JESUS!" and the Hallelujah chorus was ringing in the background...well, at least it was in my head. I figured being a second time mom I had a few hours, TOPS, before I met this cute little mystery baby, and I was ready. It was about 7:30 pm on Wednesday night, and the work was here. After emptying the cold water from our tub by throwing it over our balcony with pots, and filling it with glorious warm water, the tub was ready. I asked our team to give us Eamon and I some time alone. I loved this. Eamon prayed over my delivery and set my mind at ease that we were going to have this baby tonight. Before we were done he laid his hands on my belly and talked to our little unborn child. 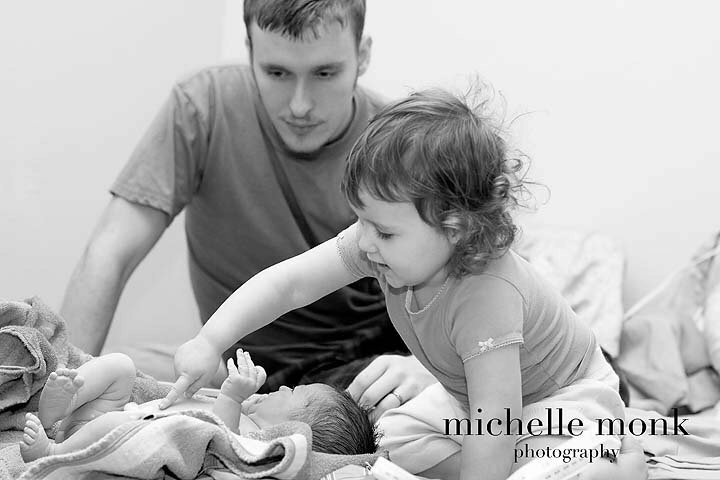 He didn't say a word out loud, but I could feel every bit of emotion that he was emitting to our little one. More than I was ready to meet this baby myself, I was ready for Eamon to. The clock continued to tick and I knew Lily would need to go to bed soon. 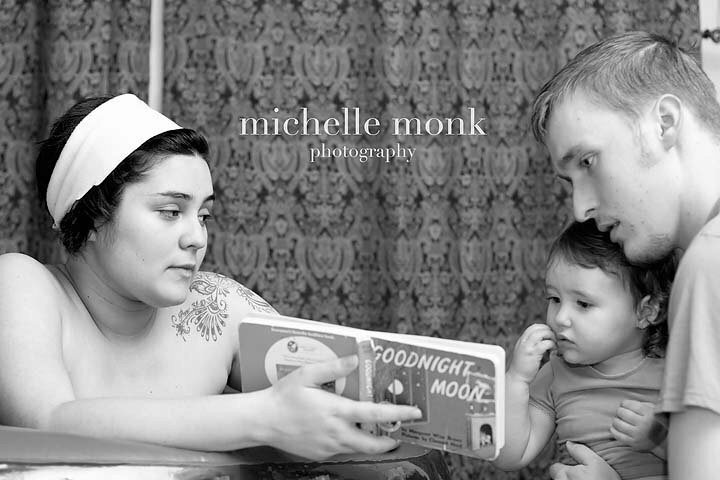 I had been making bedtime a very special time for us the past few months and it was something I looked forward to. I would bathe her, comb her hair, read to her, just made her feel extra special in case I went into labor that night. I was sad that I hadn't got to the night before and was sort of jealous of Eamon. He said "Well maybe you can read her a story before she goes to sleep?" As Eamon went into her room to get her ready for bed...I started to climb out of the tub. Wait, WHAT?!? Yeah, I wasn't exactly thinking that one through. Just as I started getting out Eamon walked in with Lily "WHAT are you doing?! Sit back down!" Eamon brought her to the side of the pool and through a contraction or two, I read Goodnight Moon to my baby girl one last time as an only child. With Lily asleep in her bed, I knew it was time to get serious about having this baby. Contraction after contraction came...but it felt different. I remembered being in the pool with Lily, what my breath felt like in my chest, what the pressure felt like in my womb and the relief the water gave me. Only the last of those memories were becoming familiar. My contractions were not long, they were not close together, but they were painful. The water made them feel so much better, but there was still something off. Then I felt another change. My contractions were only down really low, and I felt like the urge to push was just around the corner. Everyone thought pushing was just minutes away. "Any minute now," I thought "Any minute..."
I went back and forth from the tub, to the toilet, to the bed. I squatted. I got on all fours. I sat on my ball. I looked at the clock. I got mad. What was going on? We knew baby was posterior on and off. I knew that must be what was making this hard, but why were my contractions anywhere from 5-15 minutes apart? Didn't my body know what it was doing? Why was this happening to me? I was trying to keep a brave face and with Leila holding my right hand and Eamon holding my left, I labored some more on the toilet. Adrenalin took over my body and I couldn't stop shaking. I was mad. Why was the Lord abandoning me now? I needed Him! Where was He?! "This is too hard!!! I can't do this! I'm going to the hospital, this is not supposed to be this hard for me! Why are you doing this to me and my baby?!?" The pain was overwhelming. My internal dialog was getting hard to hide. For quite a while, the only two things keeping me from saying, "Screw this, take me to a hospital" were the facts that I didn't want to have any of these contractions in the car and that we didn't have anyone to watch Lily. On the toilet once more, I reached down because I could not understand what the pressure was I was feeling. I felt...bulgy, but there was no baby. After Angela checked me she told me that there was a lip on my cervix that wasn't melting away and that Baby couldn't engage. The bag of water was also in the way. My chiropractor/midwife friend came over and I made my way to the living room to get adjusted on the couch. In my head I was still yelling. In my heart I was breaking down, not knowing where to turn. Cindy adjusted me and I felt my contractions slow down even more. My heart was sinking so low...I don't know where it really went. Someone started to say something and I just couldn't keep it in anymore. "What's wrong with my body?! Why isn't it working?!?" I was broken. My cervix, my thoughts, my heart, they were all working against each other. 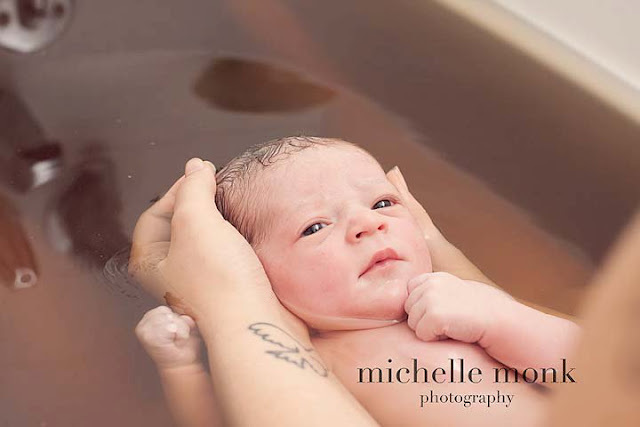 I looked to my midwife and my doula for some sort of answer. I didn't get one I wanted. Angela told me that they were going to stay in the living room while Eamon and I went to rest in the bedroom. As she was telling me this I searched Eamon's eyes for some answers. I wanted him to tell me what to do, I wanted him to tell me that this was going to be over soon, I wanted him to make this easy for me. As my team watched me walk back down the hallway with Eamon's help, I felt helpless, defeated. He whispered in my ear "Whatever questions you have babe, I can't answer those for you. I know you want us to, and I know we might have some good ones, but they aren't our questions to answer." 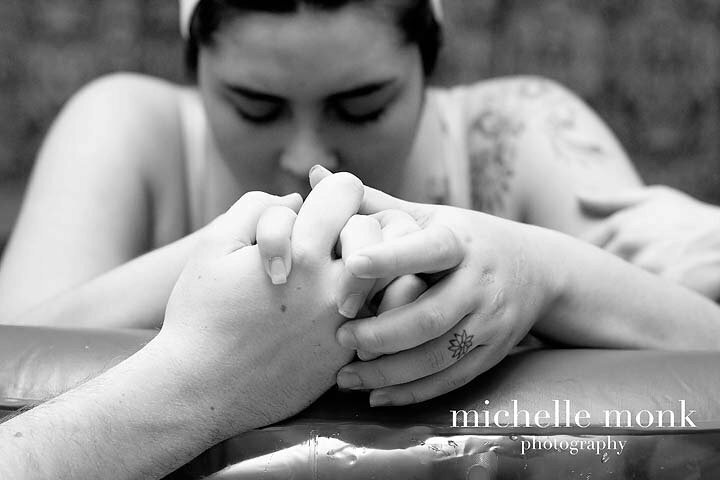 We laid down on our bed, and I began to fight it out with God in between contractions. I can't really explain what happened, but I came to a point of surrender. I had hit this pit that seemed impossible to crawl out of and I realized I needed God. I couldn't do this, but He could. I called my birth team back in to our room and told them I needed them too. During every contraction I had to cry out to the Lord with my heart and say "I'm not strong enough, I can't do this, but you CAN! Finish this contraction for me, please Jesus!" and with each wave of contractions I got a little bit of relief. But sadly, there was no progress. "Well she's a 7-8-BUT when she has a contraction, she's complete. I just know if we break her water that she can push that Baby's head down." At my follow up appointment I found out three things. One, even when I was complete, there was still a lip on my cervix. Two, my baby was still posterior before they broke my water. Three, Donna Miller never breaks water. So confident that my baby wasn't at risk, and neither was I, Angela broke my water while I lay on the edge of my bed, again holding Eamon and Leila's hands. I tried every position I could think of that would bring my baby into my birth canal. At one point I got down on my hands and knees. I couldn't even stay up on my own. I could hear the Lord calling me to continue to surrender to Him. He was going to help me. I felt like I needed to get back on my bed. Suddenly I found myself in the same position I was in when I birthed Lily. Angela wanted to check me one more time to see if I made any progress. Then a powerhouse contraction hit me. I remembered this! This felt familiar, this felt good! I couldn't control my voice and I let out every breath of air in my body. I heard Angela say "GOOD MAE! Baby's head is coming down!" I couldn't stop! The contraction kept going so I kept pushing! This was right. This was the way I remembered my body working. Everyone started to cheer me on. I heard Eamon say "We're about to meet our baby!" I got my excitement back, I reclaimed my joy. Another contraction hit. "Ok, the head is crowning, Mae!" Angela started to say. I still could not stop! "There's the head! The head is out!" Eamon was sitting up and I could hear the excitement in his voice "I can see it!" Another contraction hit right after that and I could hear everyone tell me to slow down, but I couldn't! I felt the relieving familiar feeling of a warm, slimy baby slip right out of me. I heard Angela say "Your baby's out Mae!!!" The buzz around me was unreal. My body did NOT fail. It remembered exactly how to do this, and it did amazing! In three pushes [less than five minutes] I took my baby from a negative station, to out on my chest. Angela brought this tiny, squishy being up to my chest, just like she had with Lily. Eamon got to see the face before I did and with ecstatic joy in his heart he said "It looked right at me!" Angela asked "So is it a boy or girl, Dad?!" Both of us knew as soon as she asked, and Eamon said "It's a girl! Norah!" He laid down close to me as she wiggled around on my chest. I said "We have two girls, babe!" and he said "I have THREE!" Finally, she was here. My arms were full. My Lord finished what He started. I wasn't bitter. I wasn't mad. I was full of joy. She was here. I couldn't believe that I had done it. I also couldn't believe that Lily slept through the whole thing. But right on queue, she woke up just in time for Norah's newborn exam. She looked at me like "OH! Angela finally brought that baby you guys keep talkin about!" This was the first time she got to see and touch her baby sister. I'm so glad she woke up. After a few hours sleep, I woke up later that morning, remembered all that had happened, and thanked God for the sweet little newborn that was snuggled next to me. I love Norah's story. I don't feel like I was "robbed of the perfect birth" Instead, I feel like I, reluctantly allowed God to work through me like He never has, and allowed me to fight for Norah in order to teach me things I wouldn't want to learn any other way..
Love Michelle's work! Just beautiful!!! What an awesome story...made me cry. I'm going to give birth for the 3rd time in about 2 1/2 months. I'm expecting it to be short because the first two have been but there's this part of me that knows I need to be careful what I expect. This reminds me--even if it goes differently, it is still right.